I had a great spot and stalk work out last Sunday. I had gone to the property to check feeders, cameras,etc. Knowing that the pigs often will move mid-day during a full moon I checked a pasture that had some oaks. Sure enough, two sows feeding. I stalked, actually crawled, to 23 yards and made a great shot. 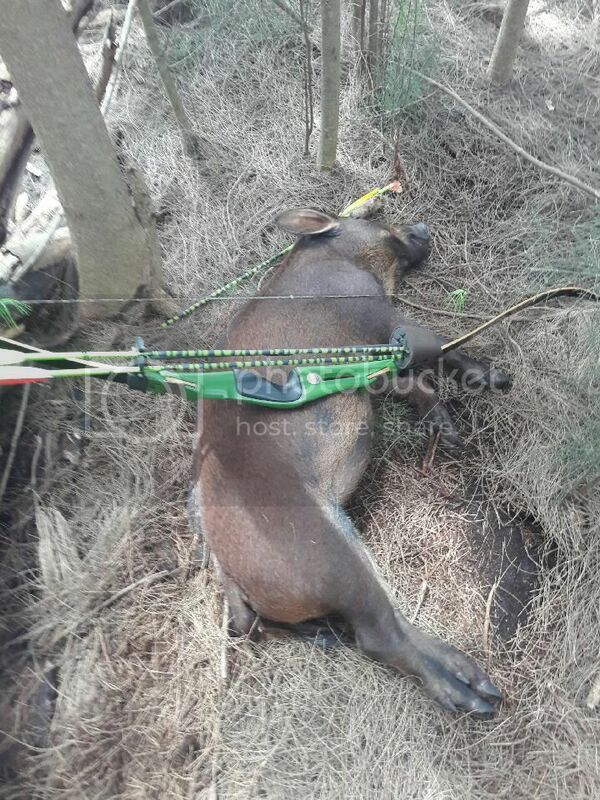 Pig went about 100 yards.Bear Minuteman, 42#, Woodsman broadhead. Congrats! I love those old minuteman bows it's awesome to see one getting some action. I'll post a video link soon. 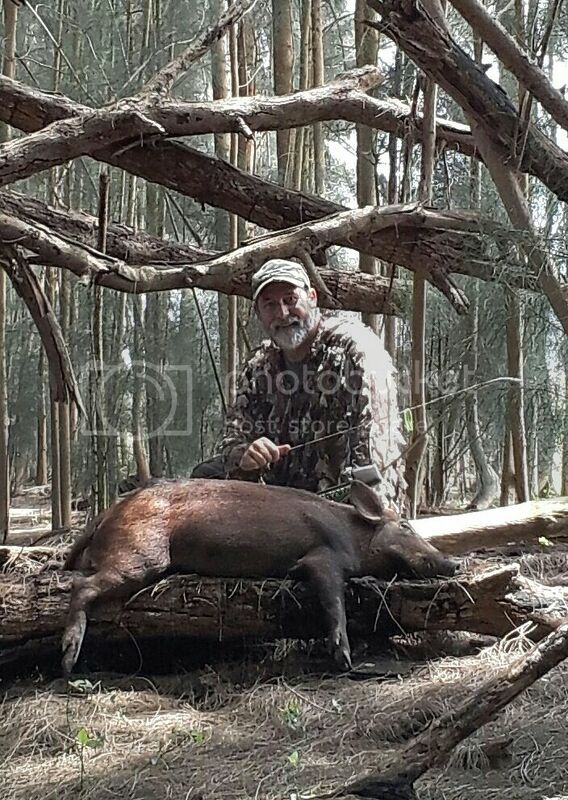 Congrats Jim, nice pig. Hope to hunt down that way this winter! Congrats on a great eater pig!